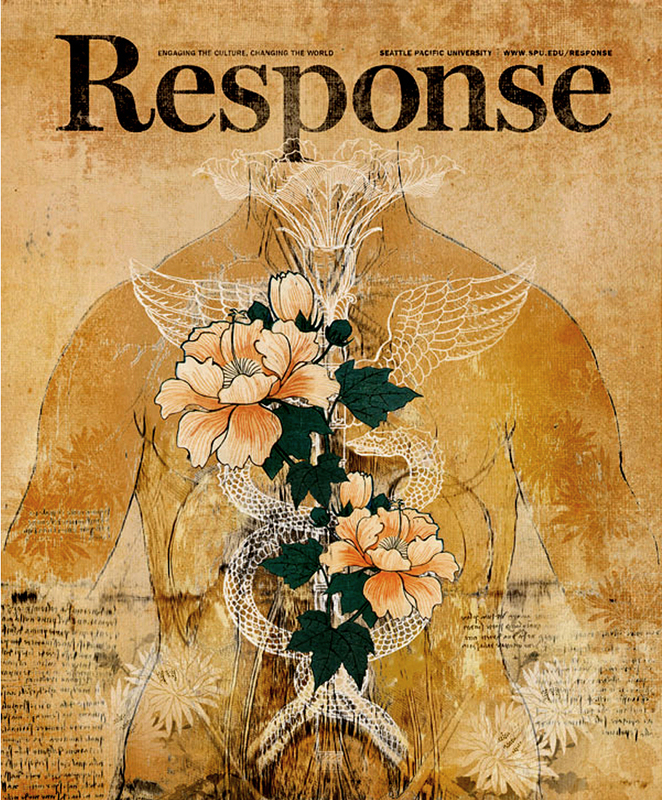 This award winning cover was created to convey the power of healing through integrative thoughtful listening. This idea is among some of the new thought philosophy being taught to young medical students + interns at Seattle Pacific University. Two feature illustrations accompanied this cover art assignment.